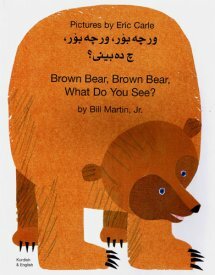 Colourful artwork featuring familiar animals accompanies this Arabic and English dual-language adaptation of Brown Bear, Brown Bear, What Do You See? With the full text in both English and Arabic, the familiar story will inspire both early readers and older learners who enjoy reading Arabic and English in parallel. This website was a great find! I was really pleased with the book I bought and delivery was efficient. I would recommend this site to friends.